For us, it's as alive today as ever. Of course Jelson utilises the latest technology to ensure its homes meet, or exceed, all of the current standards, but in these days of hi-tech this and digital that, it's somehow reassuring to know that there are some jobs that a time-served craftsman can perform better than a computer. That's why Jelson's loyal and trusted workforce plays such a vital role in the business. Very unusually amongst its peers, Jelson retains its own joinery shop, where kitchen components, windows and staircases are manufactured specifically for each property. 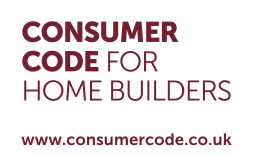 Plumbers and electricians are also employed in-house, ensuring the very highest levels of quality control. Such is Jelson's investment in training and employee development, it's not surprising to learn that many of its craftsmen view a career with Jelson as a long-term commitment. This is borne out by the company's thriving '25-year club' of over 200 members. We still build it, we still believe in it. Jelson is a local firm through and through - it always has been, since its inception in 1889, and it always will be - so the business is an integral part of the communities in which it operates, whether in its Leicestershire heartland or throughout the wider East Midlands. The commitment to creating a community, rather than simply building houses, is something that Jelson takes very seriously indeed. Examples abound in all of the areas in which the company operates; in many cases Jelson will work in partnership with local schools to help promote awareness and safety amongst pupils who may otherwise be tempted to stray onto active building sites. The company has also run successful toy appeals for children who, unfortunately, have to spend Christmas in hospital. The Jelson Academy, which has an annual intake of apprentices, is another instance of the company's responsible attitude to helping young individuals in the local community excel in a future career in the building industry. It matters more with every generation.  Jelson knows a thing or two about families; ever since it was founded in 1889 the company has been family-owned. This means that the business can operate without the diverse pressures that can sometimes ensue from large, institutional shareholders. Today, the fifth generation of the Jelley family is at the helm, concentrating on what the family does best: creating exciting new developments which will, in turn, become home to local families. While Jelson takes pride in building houses that are suitable for all, from first-time buyers to those looking to downsize, it is the family home that forms the core of Jelson's offering. With plenty of space inside and out to live, breathe and grow, plus an abundance of innovate features, a Jelson property is the perfect place to call home for you and your family. Indeed, there are many examples of different generations of the same family who have all chosen Jelson. And, often, as a family grows it will naturally move up to an even bigger and better Jelson home. The important things should never change. While Jelson will never shy away from innovation where and when it is appropriate, neither will it turn its back on doing things the traditional way - if that's what it takes to do something the right way, even if it means taking a little more time or perhaps spending a bit more money. Jelson still builds the traditional way, using bricks and blocks for its walls - even upstairs. Gently tap a wall anywhere in a Jelson-built house and you'll hear a reassuring thud from the solid internal walls, which provide great heat and sound insulation. This unerring sense of tradition also extends to good old-fashioned customer service. Throughout the process of buying a Jelson home, you will be treated with respect, as an individual, rather than 'just another purchaser'. And that commitment extends beyond moving-in day, with a scheduled six-month inspection to deal with any minor issues you may experience. For a future as strong as our past. After 125 years of building a thriving, successful business, you may think that Jelson would be tempted to rest on its laurels. But that's not the right way - and certainly not the Jelson way. While the firm is, justifiably, very proud of its history there is no doubt in the minds of the management team that the future success of the business means evolving and developing a range of homes in the finest locations that perfectly meets the needs of today's customers. This is why Jelson makes a significant investment in research and development, which means that when you choose a Jelson home, you're safe in the knowledge that it will provide a great place to live not just for now, but for many years to come.